Illustrated by Alan Stacy. Aspiring astronauts, star gazing astrophysicists, and even toddlers pointing at the moon will now have the right stuff for exploring our galaxy. With rhymes for younger children and their accompanying fact-filled expository test for older readers, syndicated “Yak’s Corner” columnists Janis Campbell and Cathy Collison shuttle us through an out of this world alphabet as seen through the windshield of a space ship. Each page answers galactic questions like: What planet is 300 times heavier than Earth? Why is space the ultimate place to study? Which planet is closest to the sun and which one is the farthest? Who said, “That’s one small step for man, one giant leap for mankind”? Authors Janis Campbell and Cathy Collison write the syndicated column “Yak’s Corner,” which is a magazine style section for young readers. They live with their families in Southeast Michigan. Illustrator Alan Stacy lives in Arlington, Texas. His father was part of the team that chose the astronauts for the Gemini and early Apollo space programs in the 1960s. 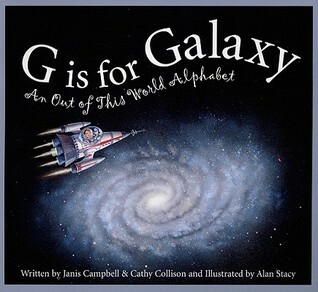 G is for Galaxy is a gorgeously illustrated book that I instantly fell in love with. As someone who love science and really believes in sharing the wonder of our universe with the younger generation this is definitely a book I can see myself reading to my future children. The alphabet is presented in two ways; one is a short little four line poem about the letter, like G is for Galaxy, and the second is a more detailed description of one or several ‘space’ related words. So not only does it have appeal for the younger children, but as they grow up they can begin to learn even more info from the same book. The one downside to having a book about science is that occasionally somethings no longer apply…like that awkward situation with Pluto. This book was written before Pluto’s classification changed, and it talks about plans for the International Space Station that have already been done. The illustrations are gorgeous!! If I could get prints of a few of these I would hang them up in my house, or if I had a kid they would be in their room. 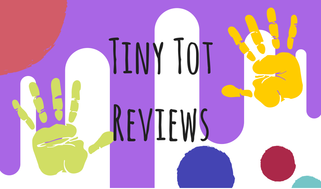 Overall this is a stunning book that is presents Astronomy is a way that is kid friendly and a great starting point for those insatiably curious kids. 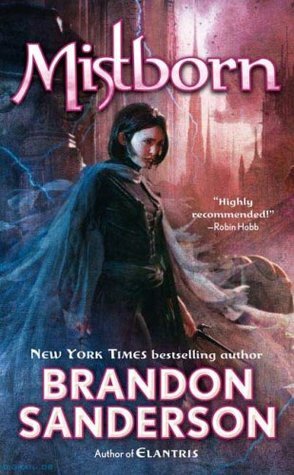 This entry was posted in Book Reviews (2014) and tagged 4 stars, children's, review. Bookmark the permalink.